A divorce is among the most stressful events a person can experience. If you are facing a divorce, it is understandable that you might feel confused, overwhelmed, and unsure of where to begin. At Mevorah Law Offices LLC, we know that the attorney you choose to help with your divorce can make a dramatic difference in the outcome of your case. 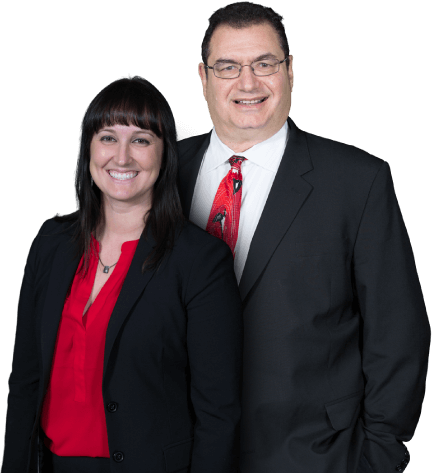 Our experienced family lawyers have been serving families in Naperville and the surrounding areas for more than 35 years. We have the knowledge and skills to help you and your family address all of the considerations of a divorce and to assist you in creating the happier future you deserve. When you decide to pursue a divorce, there are many issues and concerns that you and your soon-to-be ex-spouse will need to address. Many couples are able to reach agreements on most such issues through negotiation and alternative dispute resolution methods including mediation, collaborative law, and arbitrations. Other couples, however, are only able to have their divorce finalized through courtroom litigation. At Mevorah Law Offices LLC, our attorneys are well-versed in Illinois divorce law, and we can provide the guidance you need in any type of divorce situation. We will represent your interests both at the negotiating table and in court to ensure that your rights are fully protected at all times. 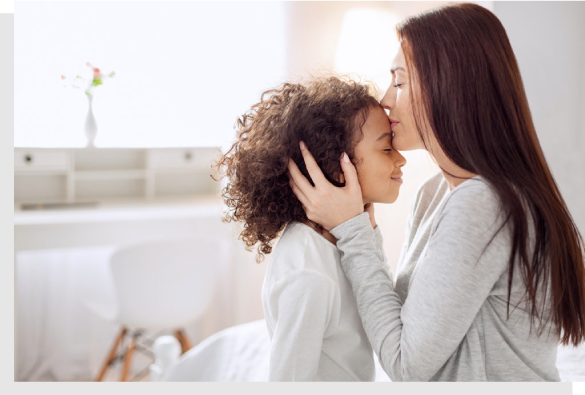 The law regarding child support in Illinois has recently undergone major changes, and it can be difficult to know exactly how the law will apply to your unique situation. When calculating child support, the court will take into account many factors, including the income of both parents and how much time the child spends with each parent. Whether you are a parent seeking child support from your former partner or you have been asked to pay support, our skilled family law attorneys can help you. Domestic violence continues to be a problem for millions of families nationwide and thousands here in Northern Illinois. Our compassionate team is equipped to help victims of intimate partner violence and other forms of domestic abuse obtain orders of protection and otherwise protect themselves and their children from future abuse. We also assist those who have been accused of domestic violence, as allegations of abuse are sometimes used as leverage tools during a divorce or other child-related proceedings. You do not need to face domestic violence issues alone; we are here to help. Money is a common source of problems for married couples, and financial issues are among the leading causes for divorce in the United States. In some cases, it might make sense for a couple facing a divorce to also consider filing bankruptcy so that each partner can get a fresh start. 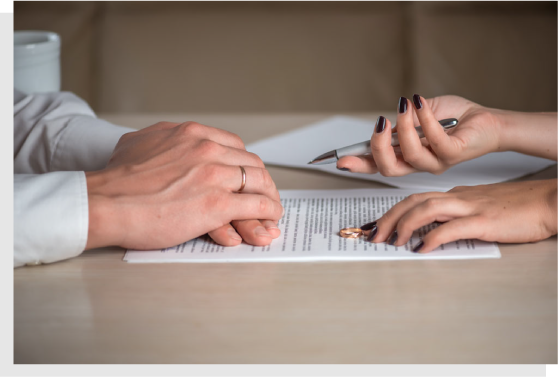 There are, however, a number of factors that could affect your decision to file bankruptcy during the divorce process, including your income, your spouse’s income, and your ability to cooperate with one another. At Mevorah Law Offices, LLC our skilled bankruptcy and divorce attorneys will assist you in finding the solution that works best for you. At Mevorah Law Offices LLC, we provide guidance with uncontested divorces. An uncontested divorce is a divorce in which both spouses are able to reach an agreement on all of the important issues, including the division of property, spousal support, and parenting arrangements. Compared to a litigated divorce, an uncontested divorce is usually much faster and less expensive, and both parties are generally satisfied with the outcome. "Mr. Mevorah and his team worked quickly and efficiently both times I've used his firm. The first time was a few years ago for a guardianship matter and most recently for divorce. Both cases were slightly unique and involved foreign nationals and contacting people overseas. Both issues were resolved in a satisfactory manor for me and quickly." "My divorce case went very quick and smooth thanks to Steven Mevorah and his team. Very responsive and helpful with all of my questions and concerns plus reasonable attorney fees. I would highly recommend him to anyone!" "Steven and his staff worked to ensure our best interests were always the priority during the dispute over the level of responsibility of each patent regarding college tuition. Steven was able to receive a fair ruling from the court and not have things drag out for an extended period of time." "I went through a very painful and scary divorce. 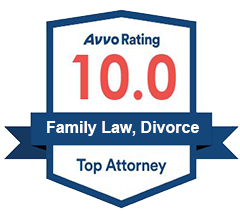 Steven was professional and had a high level of expertise in Family Law. He helped calm my fears and made sure that my future would be secure. I would highly recommend Steven H. Mevorah for legal representation." "I LOVED the professionalism!! My divorce finallized in 2010, I was VERY comfortable with how Steven Mevorah and Associates handled all of my matters. I have spoken highly of his firm and recently referred a friend. Thank you Steven Mevorah and Associates." "Mevorah Law Offices are very efficient in their work, in just one week I got my daughter back in a child custody matter. Then when the court date came all the work was done even faster. I am proud to have made the first step into walking in their offices and I know that I'm not looking for another lawyer elsewhere." "I am so glad attorney Megan E. Gieseler was assigned to me as my lawyer in my family law case. She is great and really provide outstanding service. Megan answered all my questions quickly and professionally. I completely recommended her services. She is so professional and understand client's needs. Thank you Megan!" "Megan Geiseler at Mevorah Law Offices was exactly the person I was looking for to represent me. When you are blindsided and need guidance, Megan is the perfect Attorney to turn to. She is professional, thorough, patient and understanding. I can't thank her enough." "My Experience with Megan Gieseler as my attorney was a definite 5 Star! Not only is she great at what she does, but she does it with such compassion. That is very rare to come across in todays world. She is available and ready to answer any questions you may have 24/7. I would definitely recommend Megan to my family and friends." "I was very impressed by the professionalism and first rate assistance I received from my attorney and staff. I would recommend this law office to anyone needing legal assistance without reservation." "My attorney and his paralegal were absolutely wonderful! They were truly there for me every step of the way throughout my very trying divorce. I couldn't have asked for two people with more patience and knowledge. I would definitely recommend them and this law firm to anyone in need of a good lawyer! All I can say is thank you!" The attorneys at Mevorah Law Offices LLC understand the challenges that you are likely to face during and after your divorce. With our experience and knowledge of the law, we are equipped to help you no matter how complex your divorce may be. While there is no Illinois law that requires you to hire an attorney, it is rarely a good idea to navigate the divorce process on your own. A qualified divorce lawyer can actually save you thousands of dollars or more by helping you to avoid mistakes and to fully exercise your rights. All divorces in Illinois are granted on the no-fault grounds of irreconcilable differences. This means that no matter what your spouse may have done, you will only need to show the court that your marriage is beyond repair in order to obtain a divorce. Will My Spouse Get Half of Everything During a Divorce? Illinois uses the principles of equitable distribution when dividing property in a divorce, which means that marital property must be divided fairly between the spouses, not necessarily equally. In determining what is fair, the court will look at a number of circumstantial factors, including each spouse’s contribution to the marital estate and the length of the marriage. Do We Need to Live Separately Before Getting Divorced? While it is not uncommon for one spouse to move out of the marital home before divorce proceedings begin, Illinois law does not require a period of living separate and apart. If you and your spouse live separately for at least six months, however, the court will accept the separation as proof of irreconcilable differences, even if one spouse is opposed to the divorce. If you are considering a divorce, contact our office to get the guidance you need. Call 630-420-1000 for a free initial consultation at Mevorah Law Office LLC today. Our firm serves clients in and around Naperville, Illinois.